Annual Festivals / Entertainment in or near Nieu-Bethesda, Karoo Heartland in the Eastern Cape, South Africa. The New Year’s Eve Lantern parade is a truly inspiring community event run every year by the Centre. A powerful symbol of hope and beauty, the parade crosses cultural and religious barriers in a joyous celebration. 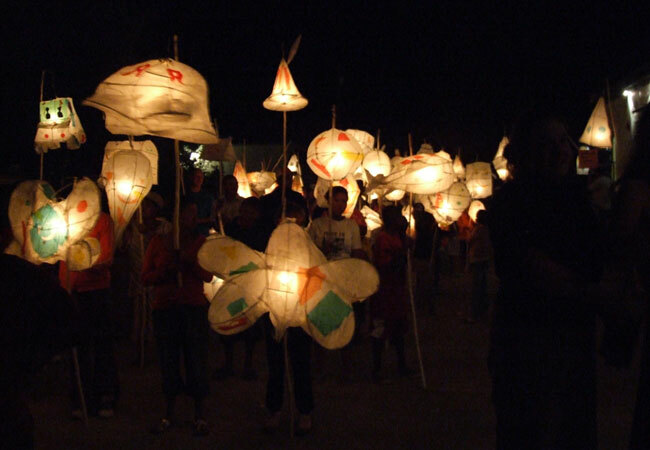 Come and make your own lantern at one of our workshops, then join the parade for a magical night walk through starry Nieu-Bethesda in the Eastern Cape! Assemble at 8pm at the Bethesda Arts Centre.